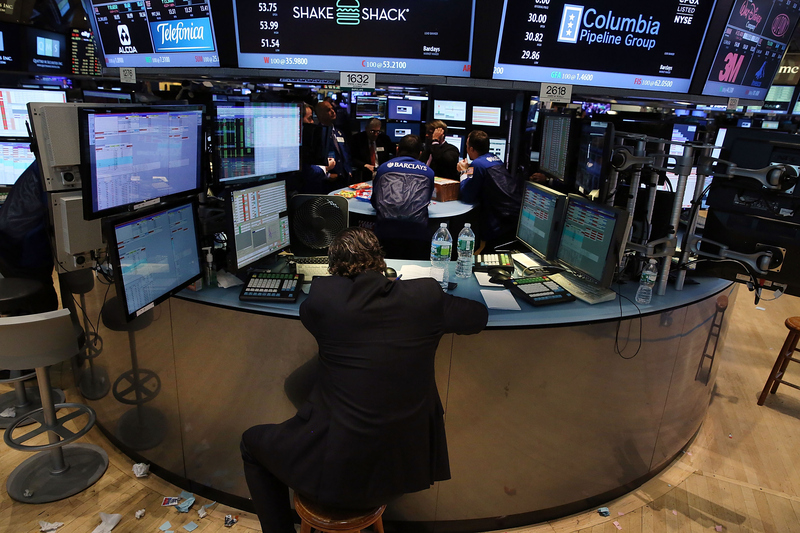 On Wednesday, the New York Stock Exchange shut down for more than three hours due to a technical glitch. During that time, all trading on the exchange halted completely. On the world's largest stock exchange, where billions of dollars in trades happen every day, a shutdown of more than three hours seems frightening. I'll admit that when I first heard the news, I pictured a flurry of clean-shaven men in suits throwing papers around and pointing fingers at one another in a panic. As it turns out, the highly automated, severely fragmented world of trading that exists today may have actually prevented that panic, and the NYSE shutdown might not be as big of a deal as I'd hastily imagined. NYSE handles more than 3 billion trades every day. With volume like that, things are sure to be automated. What's more, it's just one of 12 stock exchanges operating in the United States today. Often, this automation and fragmentation is criticized as overcomplicating the system and unfairly advantaging certain shareholders over others. High-frequency trading, in particular, which relies on complex algorithms that even most traders can't explain, scares writers like Michael Lewis, author of the New York Times best seller Flash Boys: A Wall Street Revolution. (For the record, it scared me too after reading the book.) Yet to some extent, this newly complex stock market could have its advantages, especially when it comes to the potential economic crisis that could have arisen Wednesday amidst the NYSE shutdown. The reality is that those clean-shaven men in suits don't always have to run around in a panic when a technical glitch occurs nowadays. Instead, the floors of the stock exchanges are relatively quiet. The trading takes place on computers and handheld devices, and it occurs much faster than a clean-shaven man in a suit (even one who works out every day) could run across the room. In fact, Wall Street itself is now largely symbolic in many ways. With so much of the business taking place electronically, stock exchange offices don't even have to be located in Manhattan anymore. For instance, BATS Global Markets, one of the 11 stock exchanges that competes with NYSE, has a large presence in Kansas. Thanks to this technology-based climate, trading continued seamlessly Wednesday afternoon despite the shutdown of Wall-Street-based NYSE. USA Today reports that NYSE-listed stocks continued to trade on other exchanges, including the NASDAQ. An NBC Nightly News report confirms that although there may have been some running around on the stock exchange floor, no one lost money as a result of the shutdown. From these reports, it seems like the fragmentation the stock market helped prevent a major economic meltdown. It also could have helped maintain investors' confidence in the market, which is important to prevent an overwhelming sell-off from flooding the market. Previous technological glitches may have also helped. Sayena Mostowfi, head of the U.S. equities research at TABB Group, told USA Today that glitches occur regularly, and NYSE handled the situation appropriately to prevent a larger crisis. System glitches are the new norm. ... It was a smart decision [to shut down the exchange] rather than create mass confusion. Ultimately, the three-hour shutdown caused major headlines but only minor panic, which is good news for the global economy. Perhaps even more importantly, maybe there is an upside to the stock market's increased automation and fragmentation.